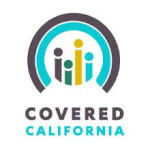 Between Nov. 15 and Dec. 3, 300,000 Californians submitted applications to Covered California and were determined eligible for either private insurance or Medi-Cal. Of those 300,000 successful applicants, about 130,000 applied for individual health plans, and approximately 160,000 requested to enroll in Medi-Cal. In the first year of Covered California enrollment, 1.2 million Californians signed up for private health insurance. Covered California hopes to enroll 500,000 residents in private plans this year, while doing so in less than half the amount of time. The current enrollment period ends on Feb. 15. In the inaugural year of the state exchange program, 2.2 million residents enrolled in Medi-Cal. About 30 percent of Californians now are enrolled in Medi-Cal. Covered California says all of the health care members are legal residents of the state. What role does Dr. Gruber-gate play in Obamacare? Just asking. This one’s for Ted as well. Did you know that through Obamacare you are also giving kickbacks to the wealthy. The subsidies are available based on income – in CA you qualify for a subsidy if your income is less than 4x the poverty level ($62k for a family of 2). Wealthy people who have retired or are working part time and not yet age 65 have the flexibility to keep their income below the subsidy cutoff and are doing so to receive welfare from the government. By your genius government’s structuring of the law. If I have $2M in an IRA, and keep my income down, I am below the poverty level and you foot part of my health care premiums. What a wonderful premise. And yes it’s true as I know people who are doing it and CPAs are advising their clients to take advantage of the fools who wrote this law. Your situation as explained, goes directly against your ethics, as shown in this entire thread, but you flaunt this scenario as if it was a banner of pride. I didn’t see you disparage this insidious loop hole event, other than to show in glee how one can work the system. Where is your disdain for people that have millions in the bank, but yet get subsidies for ObamaCare? This is in the same vein as you whining in having to pay for others healthcare in our Socialist/Capital system that you cannot adjust too! Where’s the beef? Did you drop the ball on this one? Don’t be a hypocrite to your alleged admirable position. It’s not pride. It is sarcasm and disgust. Is it possible that you could create a single comment without using the word “hypocrite”. From the Princess Bride: “You keep on using that word. I do not think it means what you think it means”. Yeah we believe you….government agencies never lie they just lose emails and double count enrollees. There’s a legitimate reason that the numbers are increasing. It’s the phase in of the law. Small businesses (such as mine) were able to renew their non-conforming group plans in 2014 (only individuals needed to sign up at the end of 2014). They are signing up for individual plans because employers with less than 25 full-time employees are dumping group coverage because they can no longer afford to provide it. More than 1/2 have signed up for welfare (medical). Is that supposed to be a success? No wonder my premiums for a family of 4 are skyrocketing. I am one of those signing up for the very reason you state. My old group plan has become very expensive and will be terminated effective 12/31/14. So me and other employees are pushed into the state exchange where we can pay what we were paying several years ago, but with much worse coverage. And the state will refer to me as someone they helped when the truth is Obamacare has reduced my coverage substantially and will force me to change doctors. Can you produce actual FACTS of the healthcare you had before in detail with supporting evidence on line, and the ObamaCare plan in detail with prices, etc., you’ve picked out at this time? To many here, good ol’ conjecture and hearsay is their friend to support an otherwise possible erroneous notion. I “covered” your questions on the previous page, no pun intended, and now your making another claim that your family’s healthcare coverage is skyrocketing? You must be an anomaly within the system because California’s ObamaCare, and Covered California increases are only 5.9 percent, which is the same as before ObamaCare. We know, conjecture and hearsay is more fun than actual facts. Obama’s welfare care act costs my family $1162/month. My health insurance cost prior to the excrement in the white house’s law being passed was $820/month. Back it up with all of the propaganda “facts” that you wish. It’s not reality. Now are you going to tell me that’s not the truth? That’s not an increase over 5-years at 5.9%/year. That’s immediate. Go back to mocking christians rather than justifying the theft of property by corrupt politicians in the name of “universal healthcare”. You’re better at it! Furthermore, we do not know of your previous JUNK healthcare insurance, and what it had overall compared to what you have now, AND THE EXTRA BENEFITS you are now enjoying as well. No. You called me a liar and cited statistics as if they were coming from the burning bush. Now you backtrack and say understand the term average. Drink your Obama Kool-Aid all you want, but don’t try to argue numbers when you have no first hand experience with the situation.